Critics often ask ourselves how we can approach a review with as little bias as possible. Can you truly be unbiased about a piece that hits on themes related to your own identity? 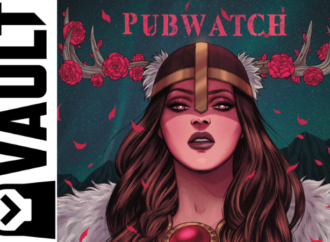 Regardless of how your views fall, I’ll warn you now: this is an emotional, biased review, not because I know any of the involved creators (although I have sung the praises of Czap Books publications in the past) but because this is a sweet series about growth and healing, and it features an amazing literary librarian. 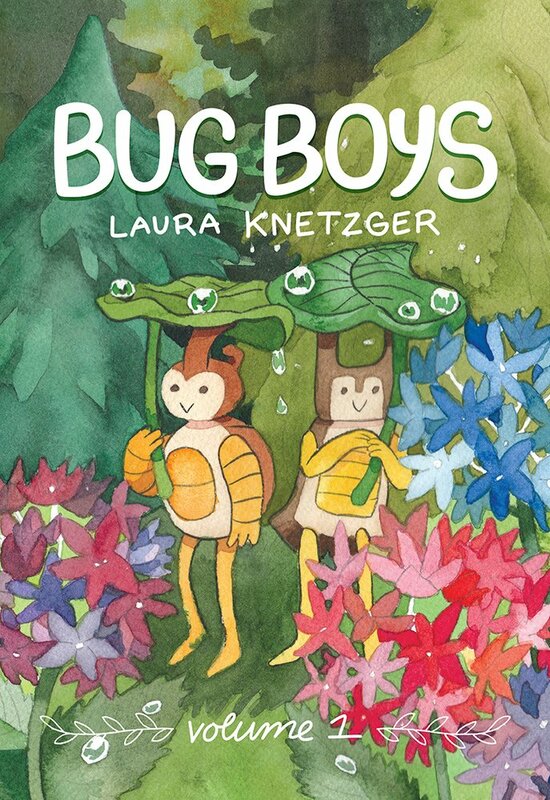 Bug Boys: Volume 1 by Laura Knetzger collects comics written and drawn from 2011-2015. 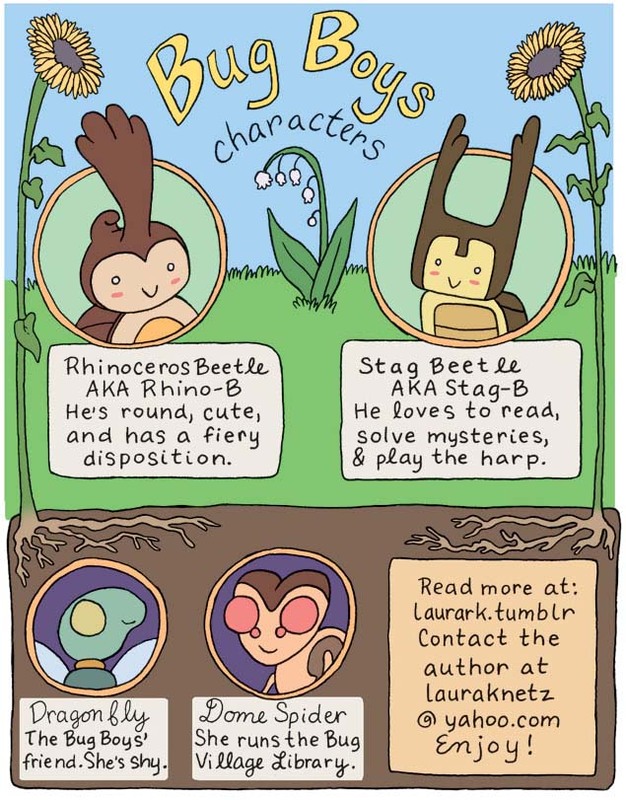 Each story follows the exploits of Rhino B and Stag B, two young beetles living in a gorgeous and lively bug village. The boys are on the cusp of adulthood, so while their adventures are often playful they also reflect on the concept of coming-of-age and being treated as an adult. 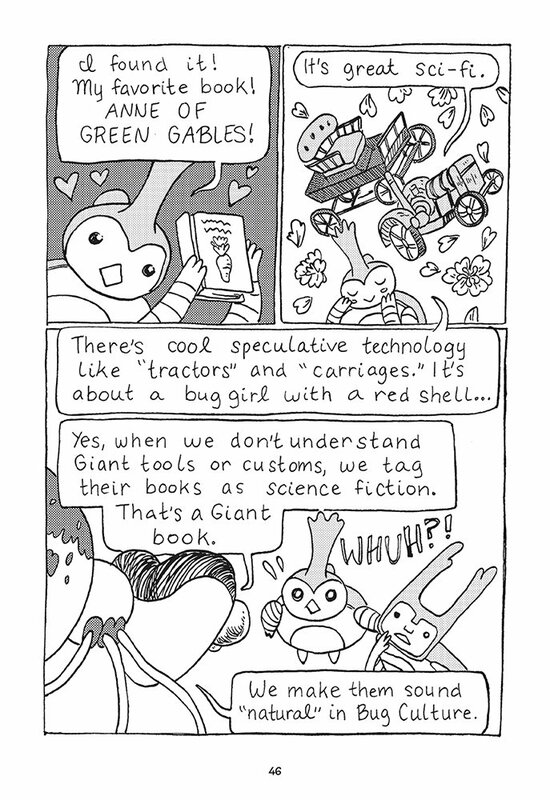 In the third issue, The Insect’s Library, something very important happens. Rhino B and Stag B are playing bug ball with their friends and accidentally break one of Mrs. Moth’s windows. As punishment, the pair has to run errands for the old moth, including delivering books to the Insect’s Library, which is run by Dome Spider. Initially, the boys are terrified of Dome Spider—she is their natural predator, after all—but she shows them shelf after shelf of books containing stories translated from giant (human!) language into bug language, all, as she says, “Waiting for you to read it and make it alive again.” She makes them tea and helps them feel comfortable enough to want to return, but casually reminds them that they are her natural prey. Later in the collection, Dome Spider has the power to pop up out of nowhere and redirect the boys’ day with an adventurous task, not really out of fear but out of respect, and belief, in her cause. 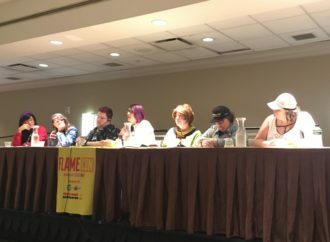 Built into Knetzger’s portrayal of Dome Spider is a reverence for libraries that is exciting to see on the page; she clearly understands how libraries can positively affect the lives of young people. Even on a busy, important day, Stag B and Rhino B are willing to put aside their plans to help expand the library and, ultimately, support all bugs in their pursuit of knowledge. 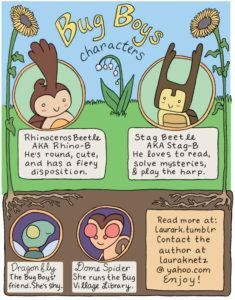 Stag B especially finds purpose in building up the Insect Library and begins to volunteer on his own time. In the introduction to the book, Knetzger describes Bug Boys as a source of strength, and there is no better description. 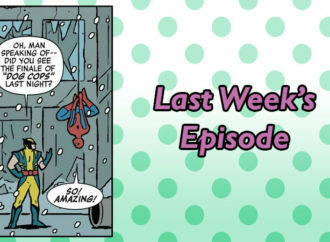 When I first read the comic I was immediately drawn in by its warm and encouraging tone. 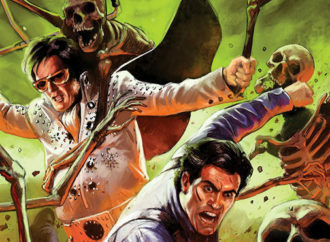 Rhino B and Stag B make mistakes and experience fear and worry in a palpable and relatable way. The comics typically take the form of black and white line art with some dot work, and Knetzger excels at facial expressions, making every emotion the young bugs feel perfectly intense. 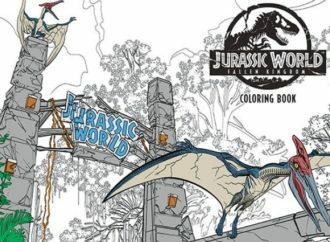 When she adds color the stories take on extra warmth; Knetzger’s style is pretty cartoony, but the emphasis on nature makes each panel feel inviting and alive. The combined effect of the soft, welcoming visuals, pensive mood, and focus on growth creates a story that feels as if it takes you by the hand and provides careful guidance. 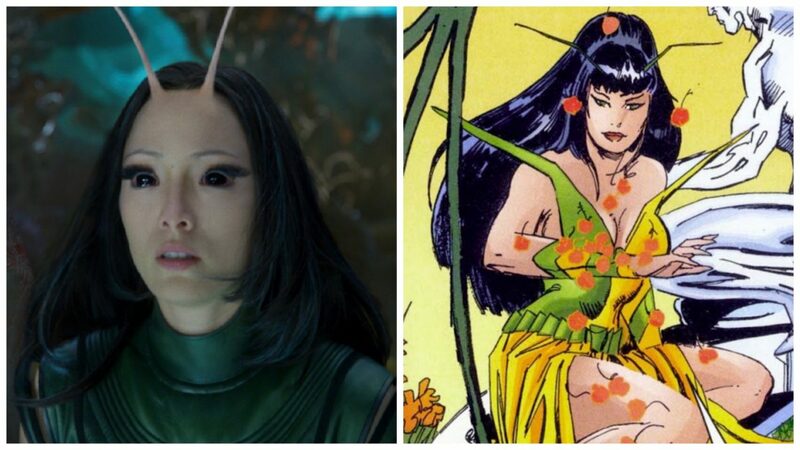 Dome Spider is the face of this guidance; she challenges the bug boys and the readers, but gives the impression that she’d never throw us into danger we couldn’t handle. 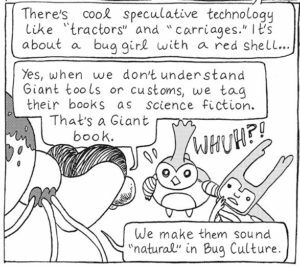 Any reader will feel encouraged to face obstacles with more confidence—Stag B and Rhino B are still sorting themselves out, but their dreams are within reach—but as a librarian who works with youth I saw my own dream in the loving, supportive, and ferocious Dome Spider. The boys might be a bit afraid of her, but they clearly trust and respect her, and what librarian doesn’t want to earn the trust and respect of their patrons, with perhaps a healthy dose of fear? 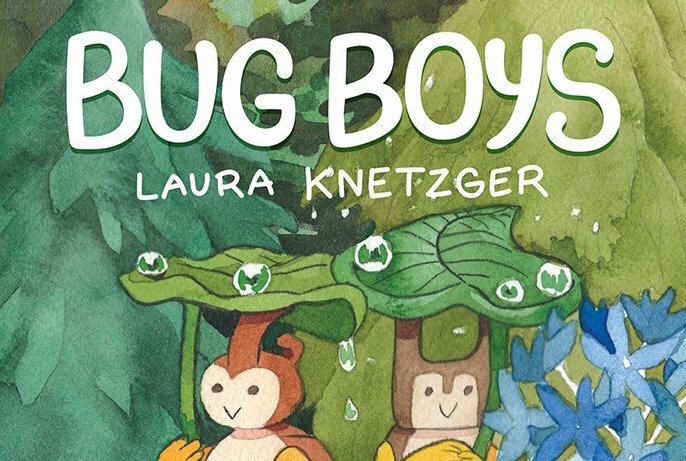 I loved Bug Boys instantly and deeply, and I know you will too. 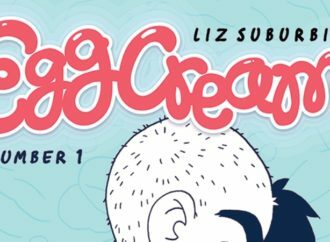 I’m delighted that it received recognition in the form of an Ignatz nomination and hope that this means more readers will experience the warm and gentle lessons that Knetzger provides. Purchase it online through Czap Books, and check out a visual primer on Knetzger’s website.